Horse Gram Chutney / Kollu thuvaiyal is a healthy diet chutney can be served for porridge, idly, dosa and is best accompaniment with hot rasam too. Kollu have a lot of medicinal benefits use to treat for weight loss, sore throat, cold cough and to treat heart disease as I mentioned before in a Kollu idly post . Most of them, who looking for weight loss recipe can include horse gram in your diet almost daily. It will reduce your extra fat slowly you get reduced in natural way. This chutney will help you to include kollu more often in you diet. Hope you will love the post. Try and dont forgot to give your feedback. Please share the post and leave your valuable comments. Kothumalli Thokku/Coriander Pickle is tangy thokku goes well with idly, dosa, lemon rice, curd rice and even tastes divine with hot plain rice. This thokku is made when we have use this for long time. 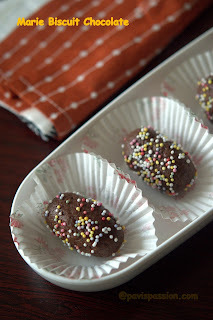 Frequently I will do this recipe but I didn't share it for long time. My hubby used to buy some organic vegetables and leaves every time. He bought a bunch of fresh Coriander leaves for this time. It tempts me to do coriander thokku. You can keep this thokku for more than a week in refrigerator. You can pack this thokku when you travel. It goes well with lemon rice and idly so you can pack it along with it. 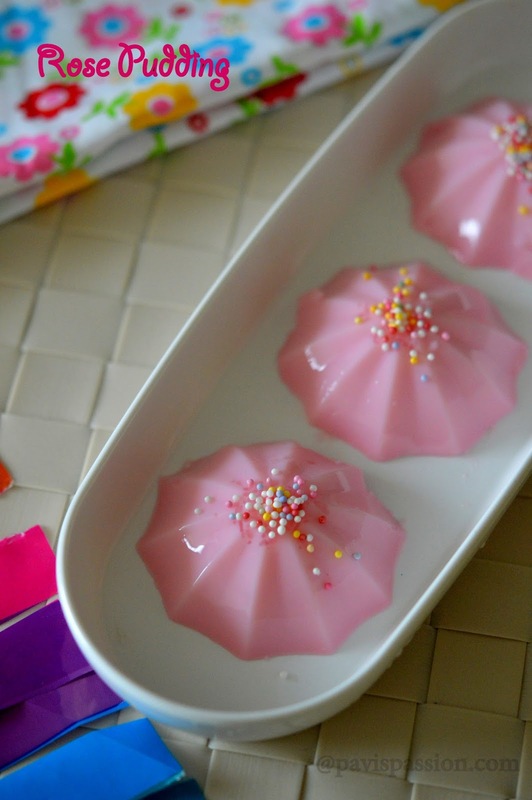 Working ladies can made this recipe in weekend, store it and can use it for the entire week. Hope this tangy and spicy thokku recipe will be useful for all of you. Tawa Pulao is a quick treat for those who loves pulao, and it is one of pulao which is the very popular in Mumbai street foods. 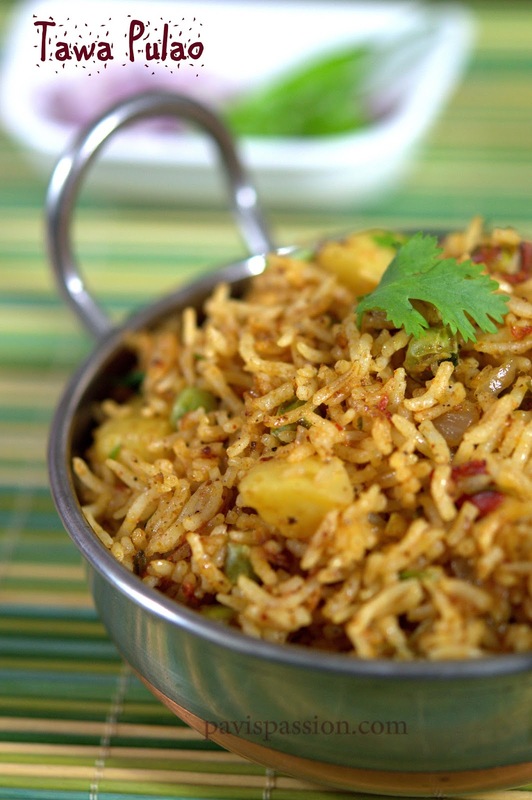 It is a Spicy, flavourful and mouth watering pulao which can be made easily under 15 minutes. When I saw this Tawa Pulao recipe for the very first time in a cookery show. It tempts me on the day one itself. I have tried so many times with different masalas which is avaiable at hand. But it tastes awesome only with the flavor of Pav bhaji Masala. So Pav bhaji Masala is the main ingredient for this pulao. You can make this masala at home or you can get this masala from all Indian grocery store. Soon I will share this Pav bhaji masala recipe with you. 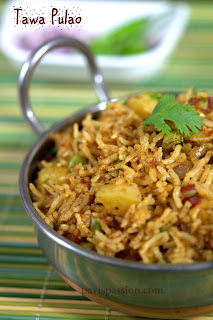 Try this easy, aromatic and spicy pulao, Hope it will satisfy your carving on pulaos. 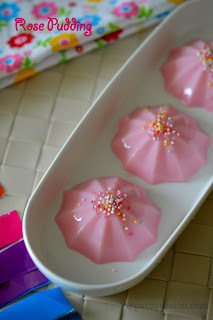 You can pack this for kids lunch box along with any raitha of your choice.